carol j. phipps | all galleries >> Galleries >> Come Walk in My Garden! 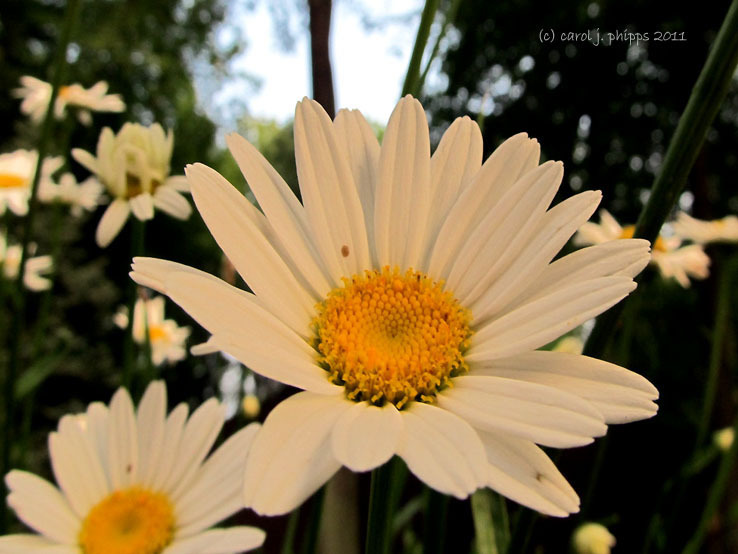 > Shasta Daisies against Blue Sky. Shasta Daisies against Blue Sky. I've got some of those growing...have to keep them watered 3 times a day because it is so hot. Love your image.